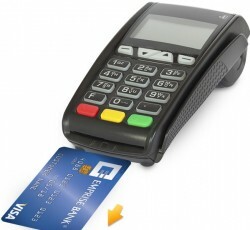 Chip Technology for your Emprise Bank Credit & Debit Cards. 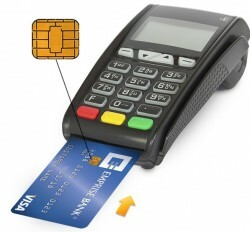 For more information about chip card technology. Simple. Secure. Smart. Chip technology helps you use your debit or credit card more securely. Security. Cards with chip technology create a single-use code for each transaction, so stolen data can't be used to create counterfeit cards. Global Acceptance. Canada and Mexico – along with many countries in Europe, Asia, and South America – have already embraced chip technology, making it even easier to use your card while you're traveling abroad. Versatility. You can use your card at chip-enabled terminals or at traditional terminals. Protection. If your card is lost or stolen, you're still covered by Visa's zero-liability policy. Watch the video below for instructions on how to use your new Emprise Bank Chip-Enabled Credit and Debit Cards. 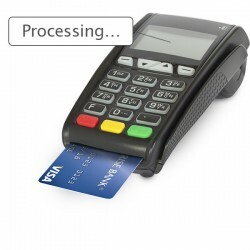 If a merchant does not yet have a chip-enabled terminal, you can still swipe your card to pay. Please contact the Emprise Bank Customer Service Center with any questions at 316.383.4301 or 855.383.4301. 1. Insert your Emprise Bank card with the chip side facing up.